The recent vandalization of graves in a Bismarck cemetery and the unconscionable graffiti marking on the North Dakota column at the World War II Memorial in Washington, D.C., are examples of how the protesters’ actions do not match their claims of peaceful demonstration. The protesters say they object to the pipeline’s being close to the water intake of the Standing Rock Sioux Reservation. However, this should be of no concern as it will sit approximately 92 feet below the riverbed, with increased pipe thickness and control valves at both ends of the crossing to reduce the risk of an incident, which is already low. Just like the companies that run the 10 other fossil-fuel pipelines crossing the Missouri River upstream of Standing Rock, Energy Transfer Partners—the primary funder of this pipeline—is taking all necessary precautions to ensure that the pipeline does not leak. But even if there were a risk, Standing Rock will soon have a new water intake that is nearing completion much further downstream near Mobridge, South Dakota. 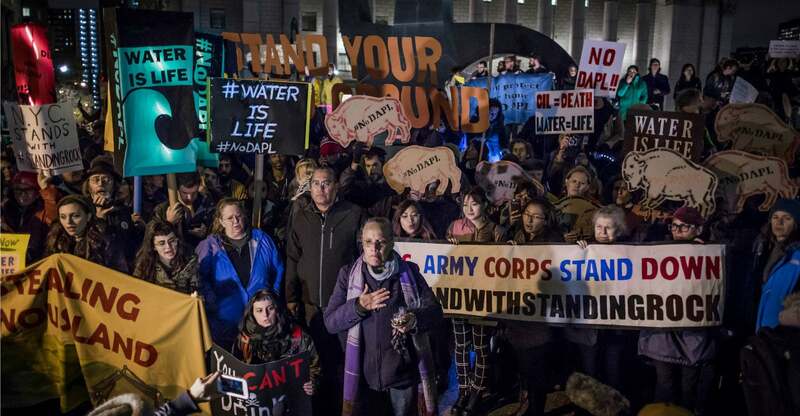 From the outset of this process, Standing Rock Sioux leaders have refused to sit down and meet with either the Army Corps of Engineers or the pipeline company. The original pipeline was always planned for south of Bismarck, despite false claims that it was originally planned for north of Bismarck and later moved, thus creating a greater environmental danger to the Standing Rock Sioux. The real reasons for not pursuing the northern route were that the pipeline would have affected an additional 165 acres of land, 48 extra miles of previously undisturbed field areas, and an additional 33 waterbodies. It would also have crossed zones marked by the Pipeline and Hazardous Materials Safety Administration as “high consequence” areas, and would have been 11 miles longer than the preferred and current route. North Dakotans have respected the rights of these individuals to protest the pipeline, but they have gone beyond civil protesting. Though these protesters claim to be gathered for peaceful prayer and meditation, law enforcement has been forced to arrest more than 400 in response to several unlawful incidents, including trespassing on and damaging private land, chaining themselves to equipment, burning tires and fields, damaging cars and a bridge, harassing residents of nearby farms and ranches, and killing and butchering livestock. There was even at least one reported incident where gun shots were fired at police. Equally disturbing is the meddling by the Obama administration in trying to block this legally permitted project through executive policymaking. This has encouraged more civil disobedience, threatened the safety of local residents, and placed an onerous financial burden on local law enforcement—with no offer of federal reimbursement for these increasing costs. All that remains for the pipeline project to be completed is for the Army Corps of Engineers to issue a final easement to cross the Missouri River at Lake Oahe. With no legal reason remaining to not issue it, I am confident the Trump administration will do what’s right if it’s not settled before President Donald Trump takes office. The simple fact is that our nation will continue to produce and consume oil, and pipelines are the safest and most efficient way to transport it. Legally permitted infrastructure projects must be allowed to proceed without threat of improper governmental meddling. The rule of law matters. We cannot allow lawless mobs to obstruct projects that have met all legal requirements to proceed. 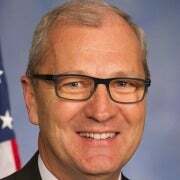 Rep. Kevin Cramer is the U.S. representative for North Dakota’s at-large district. He serves on the House Committee on Energy and Commerce.